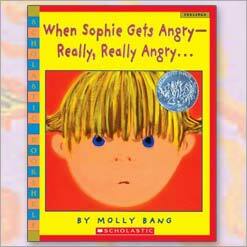 When Sophie Gets Angry, Really, Really, Angry. 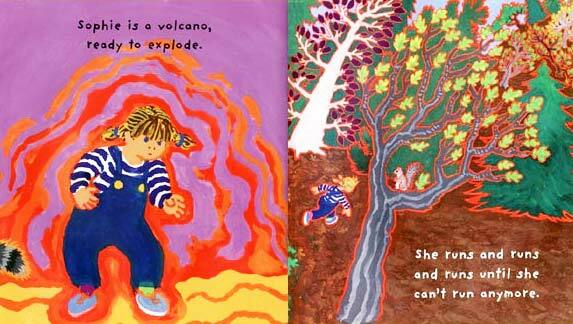 An excellent story about a child learning to overcoming her own anger without the assistance of adult intervention. 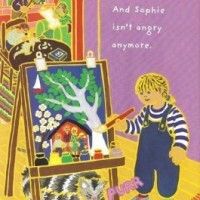 When Sophie gets angry, really, really angry, she loses her temper with spectacular ferocity. The anger is depicted as an unrestrained fiery jet erupting from her mouth and as a palpable force radiating from her in huge orange and red waves. 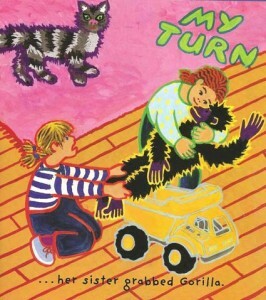 Sophie’s intense emotions are set off when she has to share a gorilla toy with her sister. 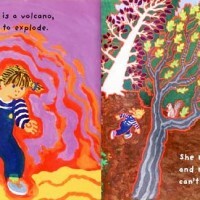 In the struggle she trips over and gaining no sympathy from mum, runs with rage out into the forest. We watch the chain of events unfold which resolves in Sophie grasping a new way to cool herself down. 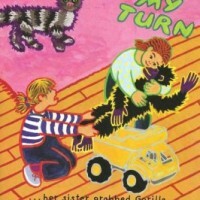 Children can observe the moods of the characters by looking at their coloured outlines. These clearly show Sophie’s transformation from angry red to a creative happy yellow. She runs in anger and cries in frustration, the red edged trees soaking up her hot emotions. 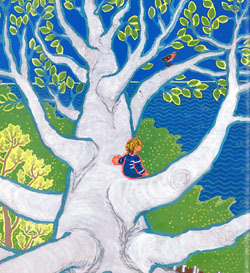 Sophie climbs high into a huge old tree and watches the ocean until she is completely calm again. The outdoor images rest in strong contrast to the violent colours and bold simplistic shapes of the temper scenes. These show the beautiful soft colours of nature, greens, blues and browns. The pictures are now full of lots of little details and perspective, as if the whole world is opening and resonating with smaller softer waves of energy. They lull Sophie with their vast raw power, a power bigger than her anger. The story closes with a scene of domestic bliss, Sophie is happily painting her family and nature. 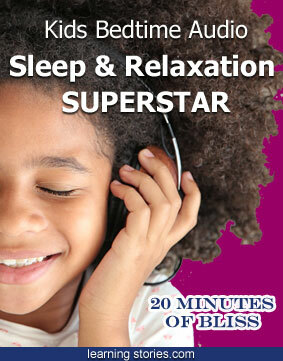 A creative outlet and time outside are suggested as helpful ways to channel intense emotions positively. 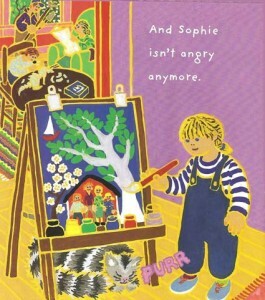 This clever exploration into behaviour management makes When Sophie Gets Angry, a valuable resource for parents and educators. This book is also available as an audio book and has been translated into Chinese as a hardback book.